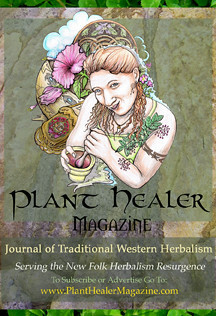 Blazing Star Herbal School: Seaweed Love, Introducing "She Sells Seaweed" and a Giveaway! I am a huge fan of Seaweed!. It provides us with unbeatable nourishment, medicine, beauty and an opportunity feel so alive spending time at the ocean. My love for seaweed is not subtle for I have it tattooed all the way down my right arm! When I was at Pats Tats, in Kingston NY (BTW- she is the best tattoo artist) getting my seaweed arm she said that it is the medicine of the tattoo fan too as it helps eliminate heavy metals from the body and as much some of us herbalists love permanent body art we all know that the inks are not so great for us. You may remember last year the article that I posted by Dori Midnight, you can click here to read it again "A note on self/community care in these uncertain times" her first recommendation was "Eat More Seaweed!" in order to protect your self from excess environmental radiation. I would like to introduce you to Kacie Loparto from "She Sells Seaweed"
Gathering seaweed is both meditative and adventurous work that immerses one into the water element according to the cycle of the tides followed by long hours of drying and sorting under the baking sun. Drying seaweed rather than delivering fresh is much more economical because it can be done in bulk quantities and it stores well for many years. Seaweed can be easily soaked, re-hydrating the plant into a highly nutritious food- enjoy toasted as well. When you integrate seaweed into your kitchen you are greatly enriching our food culture. Seaweed is a balancing food, and one that can be added to a daring or simple menu. Here are some of the wide variety of locally gathered wild edible seaweeds that Kacie offers. She has both Pacific and Atlantic seaweed in stock. Below you can read a short description of each seaweed. Bull Whip Kelp- bright green and flaky. Salty flavor with a bit of sweet from the spore patches. Great ground into a furikake mixture with sesame seeds to shake on rice, eggs, popcorn and more. Kombu- Sweet, smoky flavor. Best added to a pot of beans to tenderize, flavor and aid digestion. Highest in iodine. Detoxifying as a broth for miso soup. Sea Palm- Toast for a crispy snack- toss with roasted almonds or cashews. Soak to reconstitute and use as a noodle. Complimentary to mushroom dishes. Unique texture. Wakame- Soak to reconstitute. Taste reminiscent to chicken bouillon. Tasty in soups and with stir fried or steamed veggies especially carrots. High in vitamin C and calcium. Nori- Strong ocean flavor. Best toasted or deep fried and eaten like a chip or crumbled into a variety of dishes. High in protein. Dulse- Beautiful deep red hue. Versatile. Needs minimal cooking, just add to sautéed greens and soups just at the end of cooking. Fry and eat like chip. See website for descriptions of Atlantic varieties. Visit www.shesellsseaweed.com to place an order. Try her Sea to Sea variety Pack or her Atlantic Variety Pack. Or, order bags of individual varieties. You can check out some of these articles recipes from "she sells seaweed"
Kacie will be sending one reader 2 oz packet of her Soup Seaweed Mix which is a flaked combination including atlantic kelp, kombu and wakame! All you have to do is leave a comment with your favorite seaweed recipe! and don't forget to wander over to She Sells Seaweed and support the amazing work that Kacie is doing harvesting amazing seaweed for us! 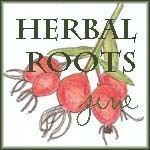 We will choose a winner on April's New Moon Sat April 21st 2012. And the winner is #4 Nathalie Lewis!! Congratulations you will be sent a bag of soup mix seaweed! from She Sells Seaweed! what a great give-away- I love seaweed- tastes so so good! I have taken to adding it to much of my food, particularly kelp. I would love to see a pic of your seaweed tattoo! 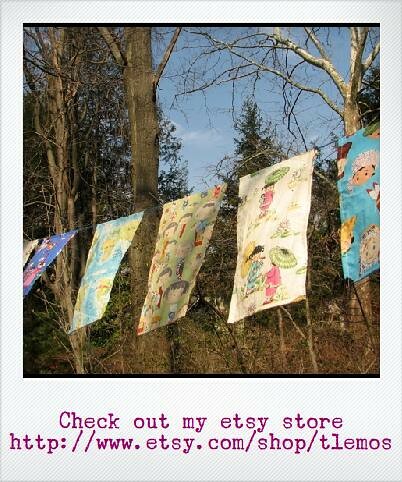 I am going to make a cup a tea and hang out at your blog for a while! Yum! My family loves kelp cayenne sprinkled on just about everything, dulse chowder and sesame toasted seaweed chips.... Yummyummyum!!! My favorite seaweed recipe has long been for laver cakes, basically oat cakes with seaweed pieces or flakes added. Yum. I like to fry up dulse in olive oil, then eat it as a chip or in greens or carrots. Yum!! Fascinating article! My favorite recipe is a wakame & butternut squash soup. Super delicious! My favorite seaweed recipe is gamasio: ground up dry seaweed, salt, and ground sesame seeds. I eat it on everything. And the Winner is #4 Nathalie Lewis! I tried a bag of roasted seaweed I found at "Trader Joe's." Pretty interesting - it tastes like it has a lot of salt but the label says only 50mg in half the package.